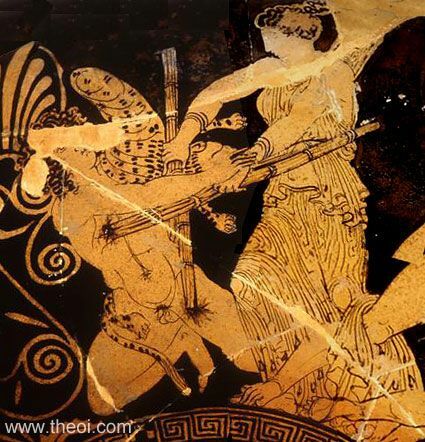 Detail of Hecate battling the giant Clytius from a painting of the Gigantomachia (War of the Giants). Hecate slays the giant with a pair of flaming torches. The Gigante Clytius wears a leopard-skin cape and is driven to his knees by the brands searing wounds in his chest and thigh.